XXL is a gay nightclub in London which primarily caters to the bear sub-group. The club was founded by David Dindol and his then partner Mark Ames in 2000. It is the largest dedicated "bear" venue in the United Kingdom. XXL is based in Lambeth. The previous venue was known as Arcadia and consisted of a number of railway arches. After the previous venue became unsafe due to a structural fault in the railway arches, XXL moved to a new venue, Pulse, in March 2012. 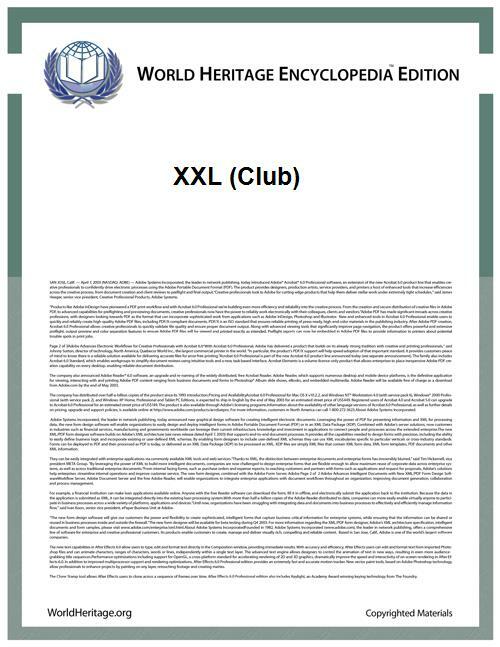 The XXL website details the history of the club through the eleven years it has been in operation. Ames felt disillusioned with how little there was for the London Bear Community outside of one bar in Soho. In 2003, XXL in London created Bear Necessities, now called XXL London Bear Pride, a weekend-long celebration of everything "big, gay and hairy" with events around the country. A year later this turned into London Bear Pride. In 2004 this was expanded to include the leather community in Bear and Leather Pride in 2006. The two subcultures do have a large overlap and a number of leather fetishists patronize XXL. Opinion polls in magazines such as Gay Times, the Pink Paper and Boyz regularly put XXL in the top two night clubs in London. XXL was also the title sponsor of the 2006 Bingham Cup in New York. In 2007 the club expanded and also diversified the brand by launching new nights, extending its appeal far beyond the core audience. In 2009 Ames became the gay promoter of the year according to the London Boyz Magazine readers' poll and was named as a gay icon in London's QX magazine. There are three resident DJ's at XXL; ChristianM, Alex Logan and Joe Egg. Christian and Alex play commercial, euphoric contemporary dance mixes in the main room, whilst Joe Egg plays an eclectic set of pop, rock, indie, soul, R&B and disco from the 1960s to the 2000s in the smaller room. Guest DJ's have included Phil Marriott, Cahill, Paul Scott and The Freemasons. In June 2010 the UK gay press reported on comments written by Mark Ames on his Facebook page in which he stated that he would boycott Muslim businesses. He issued an unreserved apology.